All baby diapers used in making our Diaper Cakes are handled with the strictest levels of cleanliness and hygiene. Earn 218 AgapeDollars for purchasing this product. Welcome a newborn baby boy with this 1 Tier Lena Lamb Baby Gift Diaper Cake! 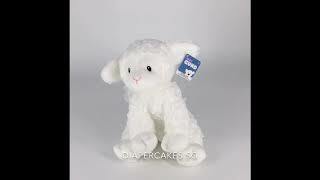 Lena Lamb Plush toy from GUND is a wind up musical toy that moves too!